There is no place quite like Bryce Canyon. 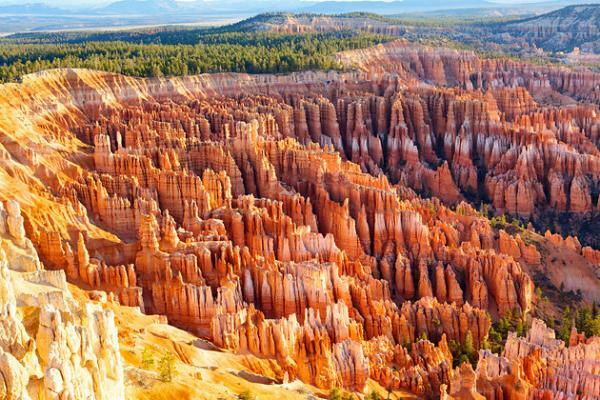 Hoodoos (odd-shaped pillars of rock left standing from the forces of erosion) can be found on every continent, but here is the archetypal "hoodoo-iferous" terrain. Descriptions fail. Cave without a roof? Forest of stone? Even photographs strain credulity. When you visit maybe you'll come up with a better name. In the meantime "Bryce" will have to suffice.